You can block and approve Domain/IP's or Email Addresses within the Cobweb Control Panel. Log into the Cobweb Control Panel and click More Services. You will find some details regarding your account here. Either enter either the domain, email address or IP address of the sender, and a short description then click Submit. Enter the domain, email address or IP Address you wish to block, and a short description. Then click submit. 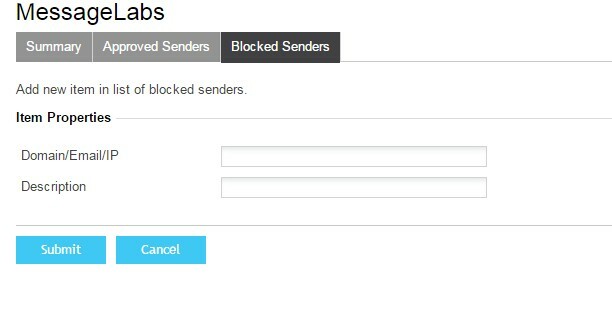 Once you have added either the approved or blocked sender they will appear like below, under the relevant tab.